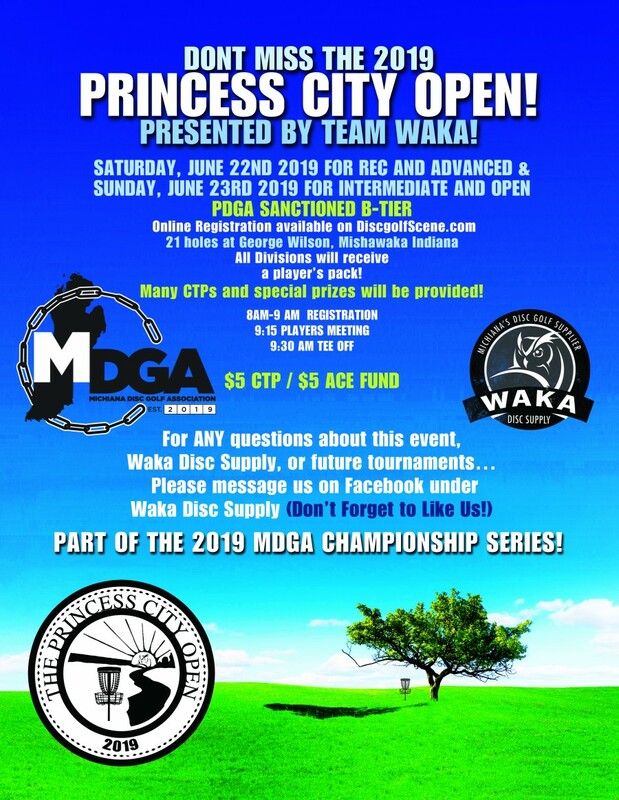 2 rounds of 21 holes at George Wilson Disc Golf Mishawaka. Sanctioned B Tier. Lunch will be available at the event as always. As one of Michiana's largest events we do our best to make this event a blast! Large players packs, big payouts and a huge amount of fun! 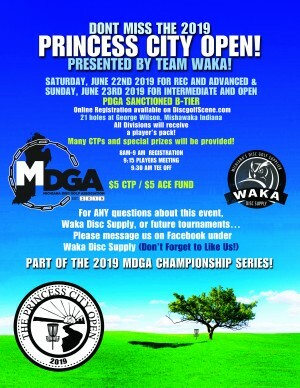 Be sure to sign up for The Princess City Open Rec/Adv happening the 21st as well for even more fun!